Popular protest in China has been widespread and prevalent. Why do people protest and how are such demonstrations handled by the authorities? Could they ultimately imperil China’s political system? 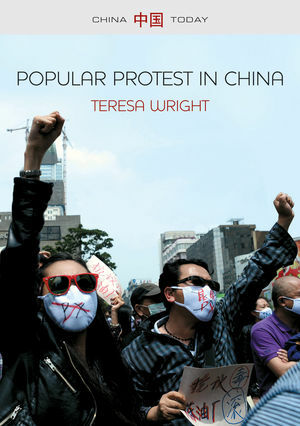 In this book, Teresa Wright analyzes the array of protests that have swept China in the post-Mao period. Exploring popular contention through a range of different groups – from farmers to factory workers, urban homeowners to environmentalists, nationalists to dissidents, ethnic minorities to Hong Kong residents, Wright shows that – with the exception of the latter – popular protest has achieved adequate government responses to the public’s most serious grievances. Yet Wright cautions that this may not last forever. For Chinese citizens that engage in protest often suffer serious emotional and physical costs. As a result, they have developed an unhealthy relationship with the regime. In this context, Xi Jinping’s recent efforts to restrict public expression may backfire – leading to an explosive dynamic that may threaten the political stability that China’s ruling elites so desire. Teresa Wright is Professor of Political Science at California State University, Long Beach.